Fold3 has been my go-to place for Chicago city directories (free access at the local Family History Center) but many of them are available on Ancestry.com, too--good news for those of us with a subscription. In this blog post I'll tell you how to find the directories on Ancestry, share what I've learned about browsing and searching them, and compare availability between the two websites. 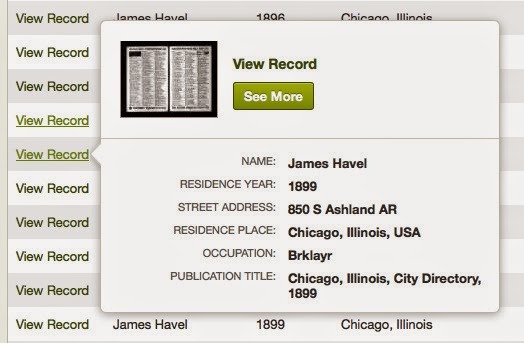 To help me explore the directories, I offered a search to the first person to post a request on the Chicago Genealogy Facebook page and so my task was this: to look for Vaclav "James" Havel, a bricklayer or stone mason, who was in Chicago from 1881 until his death in 1918. He lived on South Ashland and South Ridgeway in 1900 and 1910 respectively and my goal was to find him in pre-1900 directories. On Fold3 my strategy has always been to browse the directory pages so the first thing I did on Ancestry was use the "Browse this collection" option on the right of the search page to drill down to the year I wanted to view. Clicking the title link opened the volume in an easy-to-use viewer. I played the high/low number game in the small gray navigation bar at the bottom to get close to the page I wanted and then used the arrows to move to the exact page. I had some page-load issues and was directed to the basic viewer a number of times, but I think that was because my wireless connection was slow. When I connected to the Internet with a cable, I had no problems. Once I located the correct page, I had three options for saving it--attach it to a person on my Ancestry tree, download it to my computer, or add it to my Ancestry shoebox. In this case, I took a screen shot because I wanted the researcher who asked me for help to be able to see the directory year with the directory information. If I had just saved the image and renamed it with the year there would have been a chance of a hard-to-detect information-altering typo. Rolling my mouse over "Tools" (top right) allowed me to select "View Source" which showed me the source information and let me easily copy and paste it into my research notes. Just typing "S" did the same. After browsing for a directory year, I tried the search option. I typed in "james havel" with "chicago" which brought up a number of relevant matches. When I rolled over "View Record" I was able to see address and occupation for each individual on the list, but choosing the correct James from the index wasn't important. Any of the links would have taken me to the Havel entries I wanted to view. I found the search feature useful and in the future I think I would try it first, browsing only if no matches came up. What fields can be used in a search? The search form has many fields and I explored each of them. First and Middle Name(s) and Last Name -- These fields work in the obvious way, but remember two things: 1) you don't have to use them and 2) they can be searched with wildcards. Organization entries may have text in the First and Middle Name(s) field. For example, typing words like "orphanage" or "evangelical" or "cemetery" will bring up matches. Lived In (Location) -- Type "chicago" and select "Chicago, Cook, Illinois, USA" from the drop-down. If you just type "chicago" your search results will not be filtered and will include places like Omaha, Nebraska. Any Event (Year and Location) -- Type a directory year. Select a +/- date range, choose "Exact," or leave it as is. No need to enter a location if you did it in the "Lived In" field mentioned above. Family Member -- Chicago directories (with the exception of the 1928 reverse directory) don't list spouses and so this field is irrelevant to most Chicago searches. It is relevant to the directories that included that information. The 1923 Cicero directory, for example, has entries that include spouse names in parentheses, e.g., Havel Joseph (Varella), and both names are in the database. Keyword -- This field is the reason to search directories online instead of on microfilm or in paper form. Use the keyword field to add an occupation or street name to a name search. I was successful in adding "brick" to the search for James. Be careful, though. Many occupations in the early directories were abbreviated. Adding "brklayr" also brought up matches. A list of abbreviations can usually be found just before the name entries. Below is a example list from the 1896 directory. You can also use the keyword field by itself to search for addresses (see below) or to quickly drill down to an organization page. Searching "lutheran" is an easy way to get to the page that lists Lutheran churches. Typing "violin" let me pull up a list of violin makers and teachers for a specific year. The possibilities are endless. Publication Title -- I tried searching "lakeside" with 1899 and it did bring up some for Chicago and other cities, but in most cases, I don't think this field would be useful. Gender -- I didn't try this, but I don't think it would be useful for Chicago searches. The directories didn't indicate gender. Residence Year -- If you've added a year in the Event category, you won't need to use this field. Can directories be searched by address? A big question is whether or not it's possible to search the directories by address to find out who was living there in a particular year. To test that possibility, I located an entry for a James Hovel who lived at 640 Throop in 1897. Then I tried to find the same entry using that address. I searched with "Chicago, Cook, Illinois, USA" as a location with 1897 (exact) and "640 throop" in the Keyword field. James was at the top of the results list. It also showed a Daniel A. Allen as a match, but he seems to have worked at 106 Wabash and lived at 305 Ashland. I opened the page index (button at the bottom left of the screen) to quickly skim the addresses for the page to see if Throop was there. I didn't take the time to look at all the entries but I did notice something important. It looks like the index was created through optical character recognition and--very understandably--the software wasn't able to read all of the street names accurately. For example, I'm sure "XVashington Boul" was really "Washington Blvd." You can search for an address using the Keyword field but the search is only as good as the index. Are Ancestry and Fold3 directory offerings the same? In short, no. Although both sites offer many of the same volumes, they each have unique offerings as well. The run at Fold3 seems more complete but Ancestry has directories for later years that aren't on Fold3 and, as far as I know, aren't available on Family History Library microfilm. Ancestry also has Illinois directories for places outside of Chicago. I was particularly interested in the three later directories available at Ancestry so I took a closer look at those. 1930: There are two links. One leads to the Chicago Central Business and Office Building Directory, 1930 and the other leads to the 1930 Chicago Summer Telephone Directory. The business directory includes the names of both individuals and companies and the telephone book is just as you'd expect. 1945: The link reads "Chicago Address List." This appears to be a hand-typed reverse directory showing street address and residents. At quick glance, it appears to include adults heads of household, including spouses. No occupations or employers are mentioned. 1947: The link reads "Chicago South-West Street Guide" and the volume includes "All Streets South of Madison Street and West of State Street Listed in Alphabetical Order; All House Numbers in Numerical Order Showing All Occupants of Each House." Lastly, just a few observations from my experience using the Chicago city directories for whatever they're worth. Newspaper research leads me to believe that at least some of the directories were canvassed in the spring and printed in the summer. Knowing that is sometimes helpful. Late entries are often included in the front. Lists of organizations including churches, cemeteries, schools, and orphanages, are usually in the front. Businesses are usually listed in the back but they're included in the main part of the directory, too. An index to advertisers may be available. Writing this blog post has taught me one thing -- there's a lot to know about searching city directories. If you notice something I've missed or something I don't have quite right, please leave a comment and share. Earlier today, a member of the Chicago Genealogy Facebook group asked if anyone had ancestors who were in Chicago at the time of the Great Fire. I immediately raised my hand. "I do! I do!" Well, actually, I don't. But my husband does and so it feels like I do. His great-great grandfather, James Ayer Smith, a manufacturing hatter and furrier, was in the city from 1835 until his death in 1875. 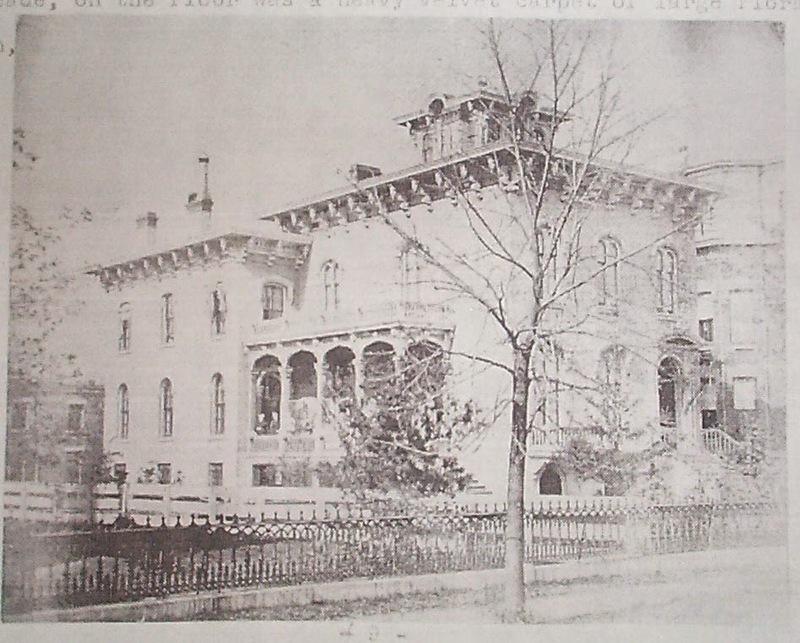 In 1871, he was living at 902 Prairie Avenue. We have a copy of a short unpublished family history (three typed legal-size pages) "The James A. Smith Family in Chicago," obtained from the Chicago History Museum some years ago that mentions the Fire in a couple of places and I promised the Facebook group that I would share. A blog post seems like a good way to do that. There's no author listed but a note says that it was "Compiled from memoranda of [large blank space] Smith and W. W. Smith" and I suspect it was James' granddaughter, Edna Valentine Smith, daughter of William Wirt Smith, who wrote it. She had a deep interest in Chicago's history and cherished her family's ties to it. Here's one paragraph from the history that talks about the family's loss from the fire. few firms who paid dollar for dollar of their debts. And here are three paragraphs that talk about what the family did while the fire was raging. which an extensive view was attainable and saw that quite a fire was raging. they were left temporarily, to the family residence where $40,000.00 worth were saved. The firm, after the fire, opened a store at 513-515 Wabash Ave. and later at 161 State St. If you have family stories about The Great Chicago Fire, I'd love to hear them! I spent the weekend playing old-time music with friends who gathered in Iroquois County, Illinois and Sunday morning, on the way home, I stopped at the Onarga Township Cemetery to visit the grave of fiddler William Alonzo Janes. The long story of my connection to him is one for another post, but it's dear and finding his resting place was very important to me. Onarga is a small town, population 1350 in 2009, and so my plan, small-town upstate New Yorker that I am, was to just wander the cemetery looking for Mr. Janes. One look told me that wasn't going to work. I pulled out my iPhone, found my reading glasses, and looked at the Find A Grave entry to see if there was a cemetery section listed. No luck, but there was a clue. I noticed a thin line of gravel at the top of the image. The stone had to be on the edge of one of the roads through the cemetery. I drove around carefully, getting out to check a few likely markers, but I found no match. What to do? I noticed someone outside across the street from the cemetery so I asked if he knew where burial records might be kept. He was willing to show me where the sexton lived--I love small towns--but I didn't want to go knocking on a stranger's door after I'd been camping for three days without the benefit of a shower to wash my hair. I made a quick trip into town to see if the library was open. It wasn't, so it was back to the cemetery for a second try. As I sat in the car, deciding how to cover the ground systematically so that I didn't miss anything, it came to me--RunKeeper, the app that I have on the third screen over on my phone for when I decide that I've had enough of the being lazy thing. 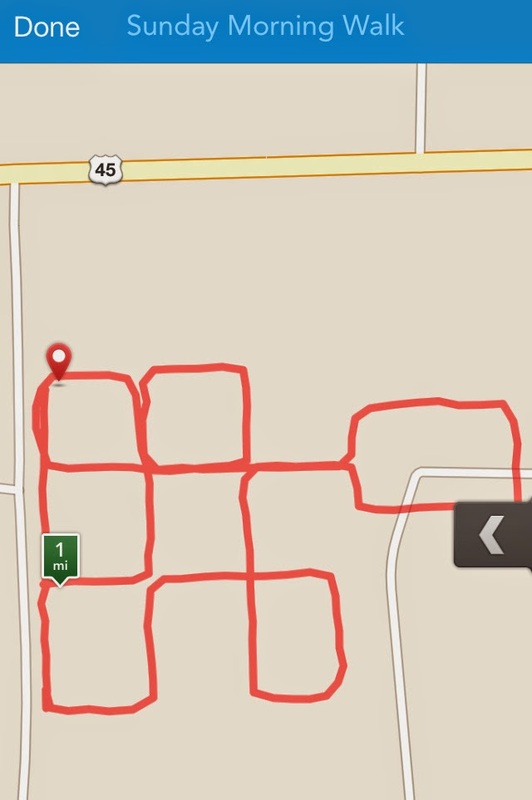 I'd seen a Facebook post a while back about someone who uses the mapping feature to draw pictures and I realized that I could use it to record my path through the cemetery. I drove the roads carefully with RunKeeper monitoring my every move. And at the end of 24 minutes, 8 seconds, I'd driven a mile, burned 137 theoretical calories, and still hadn't found the stone. I saved the "walk" so that I could view the resulting map and it was then that I noticed that the large new section in the back seemed to be connected by a single road. It wasn't the way that I remembered it and I wondered if I'd missed a few of the sections around the perimeter of the nine-square box. I drove down the far left road and as I came up on the corner, my eye easily rested on the right stone. In that moment, I remember saying to myself with a quiet sense of reverent respect: "Mr. Janes." This cemetery trip was a pilgrimage of sorts. Mr. Janes passed along a fiddle tune to Illinois fiddler Mel Durham who passed it on to California fiddler David Bragger, my teacher, who passed it on to me. I was there to bring Mr. Janes' tune back to him--to close the circle--and I did just that. It was an experience to treasure made possible by--of all things--the RunKeeper app. Anyway, many of the changes I'm making point to the new FamilySearch site and this morning I found myself needing to update a page that mentions the Family History Library Catalog entries for Archdiocese of Chicago Catholic church records. I got to wondering what the best way to pull those up might be. I'll spare you a detailed report on all the things I tried and share the approaches that seemed to work best. Search 1: Looking for a list of Chicago Catholic Church records in the catalog. 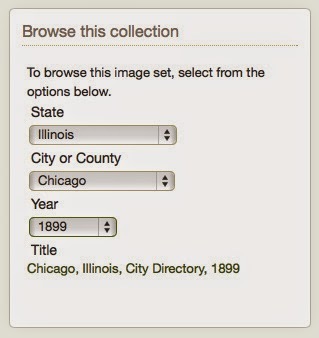 Select Place Search, type in "chicago" and choose "Illinois, Cook, Chicago" from the list that appears. Click on "Church Records" to load the first page of results and browse the list. It's not alphabetical. If you don't find what you want, click on "Show More" and keep going. Or, alternatively, click on "Show More" until all the results are showing (in this case there were 264 results and it took 6 clicks) and then use "Ctrl F" to search for keywords. Search 2: Looking for records from Chicago's St. Gabriel Catholic parish. Good--Select Keyword (beta) and type in "chicago gabriel." There are 11 results and the church records are at the top of the list. If the list had been long, it could have been filtered by clicking on "Birth, Marriage, Death" and then clicking on "Church Records." Better--Select Author Information and type "chicago gabriel" in the search box. The search returns two results with the church records at the top. A familiarity with how the catalog entries are structured helps in knowing what to search for where. 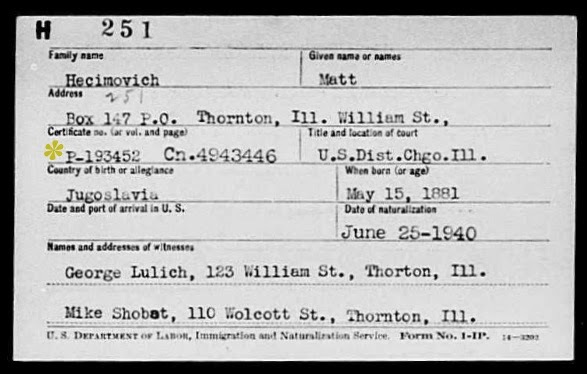 Search 3: Looking for records from Chicago's Polish parishes. This was a long-shot search but I thought I'd give it a try. I typed "chicago polish catholic" into the Keyword (beta) search box and got 29 results. Narrowing them with "Birth, Marriage, Death" and "Church Records" brought it down to 18. Some of them were irrelevant (records for other places published in Chicago) but many of them were on target. Why did it work? I think it's because the records of the parishes were listed as being in "Polish." It doesn't work for Irish parishes, but it works for any parish that kept records in a language other than English, Croatian and German, for example. While I'm on the topic, there are two really great back-door approaches to finding the Chicago Catholic parish film numbers and they deserve mention. Use this site to find the parishes that surround a particular street address and click through to view the Family History Library catalog entries. Use this site as a quick reference for parish addresses, dates of founding, and ethnicity. Click through to the Family History Library catalog entries. The current links lead to the old-style catalog entries. Tuesday I found myself in downtown Chicago with an hour to spare between copying a divorce file at the Circuit Court Archives and meeting up with my husband to attend a [really awesome!] Carolina Chocolate Drops concert at City Winery. I decided to stop by the Harold Washington Library to take a close look at the Chicago Board of Education directories that are available at the Municipal Reference Collection desk on the fifth floor. A guide to the library's holdings lists volumes beginning with 1895, but 1899 was the earliest the staff member could locate for me. She thought the earlier volume might fragile and therefore unavailable. Glancing at the key, the collection appears to be strong from 1900 to 1990, with a few gaps, and then the final volumes cover 1998 and 2003. The 1924 volume had the same rich information by by 1951, the other year I sampled, there was much less information -- schools and their addresses, district personnel rosters including teachers, but no home addresses. The 1973 volume included school lists with personnel and a list of principals but no mention of teachers. 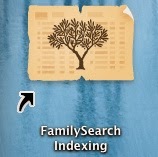 How Can the Directories be Used for Family History Research? Have you used these directories? If so, for what? Have you seen similar directories in other parts of the country? Are there other ways to find the kinds of information that these directories include? I'll go first. I haven't used school board directories for my own research but I was able to figure out a Minnesota school clerk's early 1900s employment dates and determine her salary using school board payroll records on microfilm. At the time it felt like a nice find. Last Friday I visited the Chicago History Museum to explore the microfilmed Chicago Police Department Personnel Registers, 1890-1910, part of a collection titled Chicago Police Department collection [manuscript], 1966-1969. There are three register volumes, 1890-1897, 1897-1904, and 1904-1910, and I chose to focus on the last one because it was the most relevant to my search. The names were grouped together by the first few letters of the surname and the handwritten entries were easy to read. It only took a couple of minutes to find the first match. I also took a quick look at an earlier volume and it wasn't quite as easy to use. The names were only grouped by first letter of surname and so I had to look through many more entries to find what I needed. What Information Do the Registers Include? Register entries cross two facing pages and the column headings are listed below. (Number) There are numbers on the far left with no column heading and I'm not sure what they mean. Generally, they repeat, but when they change, they seem to climb sequentially. Star No. -- Usually not filled in. Born (Month, Day, Year) -- Generally includes day, month, and year. Place of Nativity -- Generally a country, a county and country, or a city and state. Former Occupation -- Varied; examples include cigar maker, stone mason, railroad employee, piano maker, clerk, and cab driver. Residence -- One or more street addresses. Year -- Most likely the year the street address (above) was recorded. Date of Appointment as Special -- Provides a date. Date of Appointment on Probation -- Provides a date. Date of Appointment as Regular -- Provides a date. Resigned or Discharged -- Provides a date. ; indicates resignation or discharge. Cause -- This seems to be related to the resignation or discharge; causes are recorded with numerical codes. Record (Fines) -- In one example, this column provides a date, the number of days of pay that were withheld, and the "Violation Rule No." In other example, the entry includes a date, the word "Susp'd," a Violation Rule No., and a note that the employee had been "restored to duty." Record (Promotion) -- Provides date and rank and often includes multiple entries. Retired on Pension -- Provides a date. Many of the columns on the second page were blank, but the ones most relevant to family history research, were usually complete. These registers provide birth dates and birth places that might otherwise be difficult to find. For example, many of the early Chicago records just list "Ireland" as place of birth, but these registers often include a county and in at least one case, the town and county in Ireland were listed. Knowing where the family lived in a particular year can be a jumping off point for other research including city directories and church records. Knowing when a man joined and/or left the police force can be helpful in determining when individuals arrived in or left Chicago. It can also be helpful in narrowing down a death date. And, confirming a man's occupation before he joined the police force can be useful in tracking the family through earlier city directories or in confirming a matching record for a man with a common name. Information about disciplinary action or promotions can add interesting detail to a family narrative. And what about the scrapbook? I also took a look at the scrapbook covering 1912-1914. It would be interesting to read and it might be helpful to someone looking for a particular event within that time period if an exact date was unknown. If the date was known, it would be better to search newspapers directly so the title, publication date, and page number could be recorded. The Museum's website offers useful tips, so I'll just mention a couple of things. First, take a USB flash drive in case you want to save images from microfilm. And second take a camera. Scanners aren't permitted, but cameras are. I used my cell phone. It worked great. And, in case you're wondering how to get there, I took the #22 bus from the Daley Center because I visited the Circuit Court Archives on my way and it was very easy. You can drive--there's a parking lot quite close--but there are also many possibilities for bus and "L" listed on the Museum's directions page. Once again, FamilySearch has made an important group of Cook County records available online. This time, it's a database titled Illinois, Northern District Petitions for Naturalization, 1906-1991. There are two things you should know about the title. First, it says "petitions," but the database actually includes declarations and certificates of arrival, too. And second, it says "1906-1991, but the images are being added and the collection isn't yet complete. Current coverage (updated 1 May 2014): First record #98951 from 1931; last record #278950 from 1943. So, how do you find these records? It's pretty simple. When you find a match, check the "Title and Location of Court" box. If it says, "District" (or U.S. Dist.") then there's a chance you can find the matching record online. Check the naturalization date. If it's between 1922 and 1940, look for the petition number. It will be found in the "Certificate Number" box and it's usually prefixed with the letter "P."
Next, go to Illinois, Northern District Petitions for Naturalization, 1906-1991, click "Browse through images" and click on the "Cook County" link. The numbers you see are petition numbers. If you can find a group that includes the P-Number from your Soundex card, you're in luck. The online images will include certificates of arrival and declarations of intention in addition to the petitions, but they will be arranged numerically by petition number (even if the petition number doesn't appear on the certificates or declarations). And what if the record you need isn't online yet? If it's from the District Court, I'd suggest submitting a request to the National Archives at Chicago online. The cost is $10 and I hear the turnaround time is pretty quick. If it's from any other Cook County court (Circuit, Superior, County, or Criminal) then it will be at the Cook County Circuit Court Archives and I'd suggest having someone pick the record up in person. It's quicker and less expensive than by mail and it opens up the possibility of having color scans or photos instead of black and white photocopies. You can connect with a few researchers who offer that service by visiting the Circuit Court Archives page on our Genlighten website. I was surprised and thrilled to find that Cook County death certificates were listed as one of the current indexing projects. I immediately downloaded a batch and went to work! The batch was from May of 1963 and my job was to extract detailed information from the easy-to-read certificate and type it into the form--everything from the obvious name, death date, death place, to occupation, birth and parent information, to informant, to cemetery name and funeral home. It's going to be a very useful index. I immediately posted a note on the Chicago Genealogy Facebook page--perfect way for Chicago researchers to give back--and realized that there was a need for some detailed instructions on how to participate. Step-by-step instructions are below. If you'd like to know more about the project, check out the Project Page. It describes the project and includes sample images. If you decide to lend a hand, post a comment and let blog readers know about your experience. 1) Go to the Get Started with Indexing page. 3) Find the icon on your desk top and click to open it. 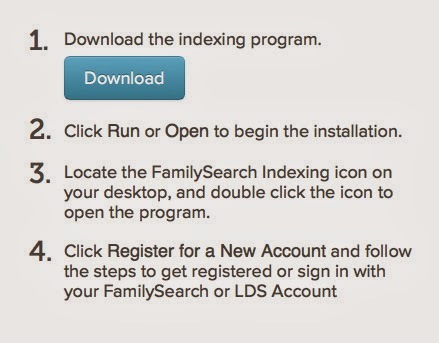 4) Sign into FamilySearch or register for a new account. 5) You might see a white screen for a few seconds. Just be patient and the indexing dashboard will load. 6) Click on the "Download Batch" button, click on "Show all projects," and scroll to find "US, Illinois Cook County--Deaths." 7) Make sure "US, Illinois Cook County--Deaths" is highlighted, select the number of batches you want to download, and click "Okay." 8) From there, read the directions carefully, and start typing. If you haven't indexed before, there's one thing you should know. Information from every batch is extracted by two people and then it goes to an arbitrator who reviews any discrepancies to make the final call. Index carefully, yes, but don't sweat over something that you're not quite sure about. Just do your best and it will be plenty good enough. Why Does the FamilySearch Death Index Have Duplicate Entries? 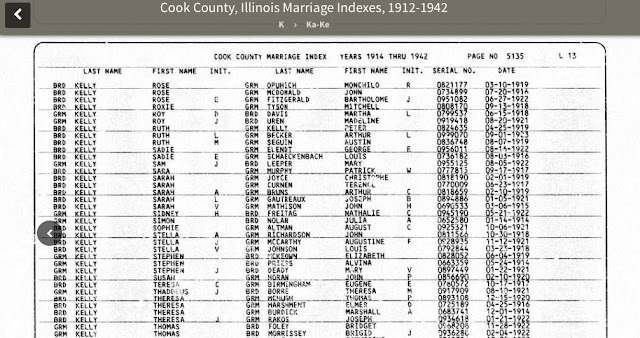 Have you noticed that some people are listed twice in FamilySearch's Illinois, Cook County Deaths, 1878-1922 index, sometimes with slightly different information or spellings? Have you ever wondered why? Have you ever wondered which record to go after? Or whether you should go after them both? In this post, I'll tell you what I know about the duplicate entries and the corresponding death records. Let's use Charlotte Klug as an example. If I search for her name in the index two matches come up. The first entry leads to certificate #5805 on film number 1239830. The second entry leads to MF 73350-1 p 8967 on film 1239813. 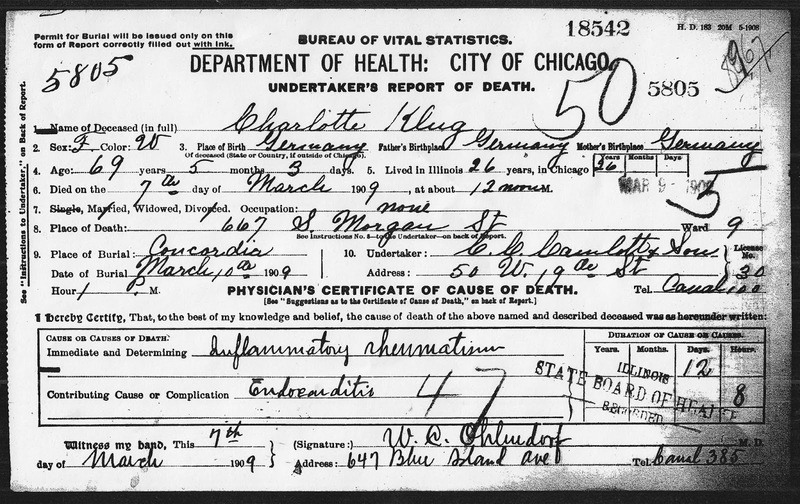 If you search the two film numbers in the Family History Library Catalog, you'll see that they're from the same series: Chicago Death Certificates, 1878-1915. From 1908-1915, many individuals who died in Chicago will have two death certificates on two different films from this series. 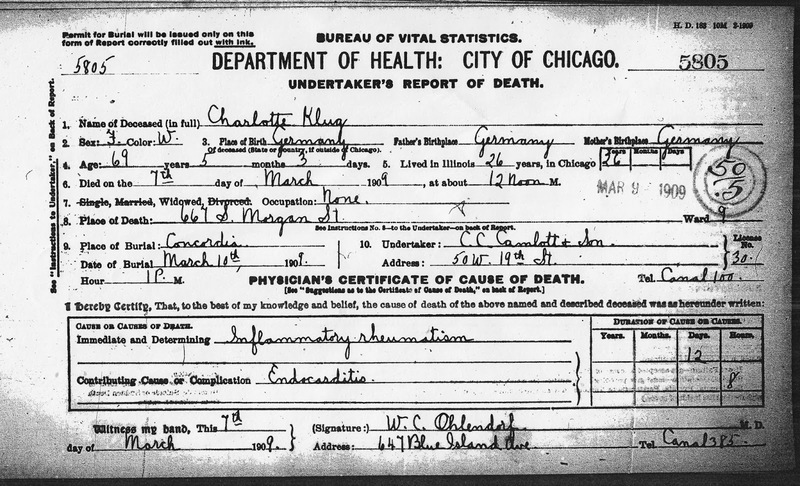 The record from the first entry can be found on a film using a register number that can also be found on a microfilm index called Index to Deaths in the City of Chicago During the Years 1871 to 1933: Showing Name, Address and Date of Death. These numbers appear to group the records together by the date they were recorded. Surnames beginning with all letters of the alphabet are mixed together. I'll call this the "register number record" or RNR. The record for the second entry can be found on a film using a certificate number that's also available from the Illinois Statewide Death Index. These records are organized by the certificate number on the films and the numbers group them together by month by the first letter of the surname. In other words, all of the "K" records for March, 1909 would be a sequential group. I'm going to call this the "certificate number records" or CNR. So, what's the difference between the two records? Let's look at the CNR for Charlotte first. Notice that it's written in two hands. The top was probably filled in by the undertaker and the bottom was likely filled in by the physician. Now look at the RNC. The handwriting, including the signatures, is all the same. I believe the CNR is the original record and I think the RNR is probably a copy made by someone at the Cook County Clerk's Office. So, how did the recording process work? I don't know for sure, but I can guess, based on what I know about other Cook County Clerk's Office records. In this case, I think the CNR was filled out by the undertaker, physician, and/or coroner, and returned to the County Clerk's Office. Then I think a copy was made by hand on a blank form and I think both were assigned a register number based on the order that the original was received and entered. The copies were kept in register order number and eventually the originals were grouped by the first letter of the surname within the month and assigned certificate numbers. There's a third number stamped on top of the original records, but I don't know what the significance of it is. I've compared duplicate records from other years, but I haven't done a systematic study. In some years, the two records look the same at quick glance but there are usually very subtle differences in the writing. In those cases, I think the undertaker and physician created two record at the same time and submitted both to the clerk's office. So, which record should you search for if you find duplicate entries in the index? I think it's best to search for the CNR -- the one that seems to be the original. But how can tell which is which? Easy. Find the matching entry in the Illinois Statewide Death Index, Pre-1916 and use the certificate number listed there to choose the matching entry in the FamilySearch index. If you live in the Chicago area, the Wilmette Family History Center has all of the CNR films and many of the RNR films. If you don't, you can access the reels at the Family History Library in Salt Lake City, order in the film at your local Family History Center, or just ask me to retrieve the record. I charge $6/search and if the local FHC has both reels, I'm happy to provide copies of both records for the same fee. I also offer small discounts for 3 or more requests submitted at the same time.